When the head is struck directly or whipped around on the neck by a violent force, the delicate tissues of the brain can be damaged when they slam against the hard bones of the skull. 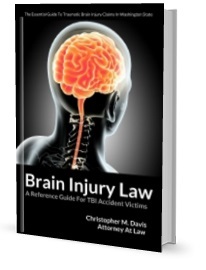 Doctors call brain injuries that do not involve penetration of the brain a closed head injury. A head injury that involves penetration of the brain by skull fragments or a foreign object is called an open head injury. A mild closed head injury may be referred to as a concussion. Both open and closed head injuries can be referred to as traumatic brain injuries. In many instances of closed head injuries, there is no visible damage to the scalp or the skull. In some cases, closed head injuries can occur even without a direct blow to the head. While closed head injuries may not look as severe as open head injuries to a casual observer, they can be extremely dangerous. In a focal closed head injury, the damage is isolated to one area of the brain. A diffuse closed head injury involves tissues and cells throughout the brain. The symptoms involved in a closed head injury case may vary based on where the brain was injured and how severe that injury was. In some cases, emergency responders may decide to check for a brain injury with a brain scan as soon as possible after a traumatic event. In other cases, a brain injury is only diagnosed after the patient notices symptoms and presents to an emergency room or their primary care physician. If you notice these symptoms after an auto accident or a blow to the head, see a doctor as soon as possible. In cases involving a severe closed head injury, the brain may swell, creating a dangerous amount of pressure inside the skull. In other cases, blood vessels or tissue around the brain may be damaged, causing a dangerous amount of blood to leak into the skull cavity and put pressure on the delicate tissue of the brain. In these cases, surgery may be necessary to relieve pressure on the brain, repair torn tissue or blood vessels, drain excess fluid, or remove severely damaged brain tissue. The goal of surgery in these cases is to prevent the tissue of the brain from being injured further by excessive pressure or a loss of oxygen. This life-saving treatment is usually performed as soon as possible after a major accident, and is usually the last resort for a patient who might suffer a severe secondary brain injury or death without treatment. In less severe cases, options are limited for brain injury patients. No medicine on the market is known to completely prevent or treat the effects of a traumatic brain injury. For patients who experience depression or mood swings, an anti-depressant or antipsychotic may help alleviate their symptoms. For patients who struggle with attention and concentration, a stimulant may be prescribed. Doctors will usually recommend that their patients rest and take extra care in the days and weeks following a traumatic brain injury. Therapy with a trained psychologist may help patients work through their frustration about their limitations and can help with lingering feelings of depression.